My model club where I'm flying since two years, is very active in indoor flying over the winter months. I did that for two seasons in 1999 and 2000 with foam models, powered by Speed 280 and gear and NiCd accumulators. The first planes were just for tests which size and shape would be suitable for indoor flying. 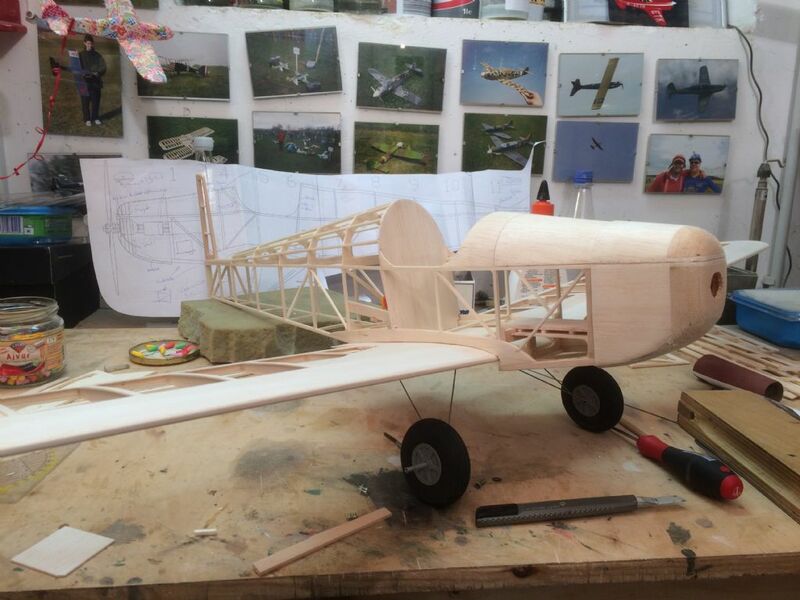 Then I built a nice 1/12 DH Cirrus Moth with 80cm wing span. The Benedek airfoil was a simple warped plate. Today the rc equipment is much better, lighter and powerful. My search lead me to the Druine Turbulent as a good looking plane with a big wing and an easy design. Since the original has only a bit over 6m wing span, the scale for my model is quite big with 1/6 to get a size of about 1m. 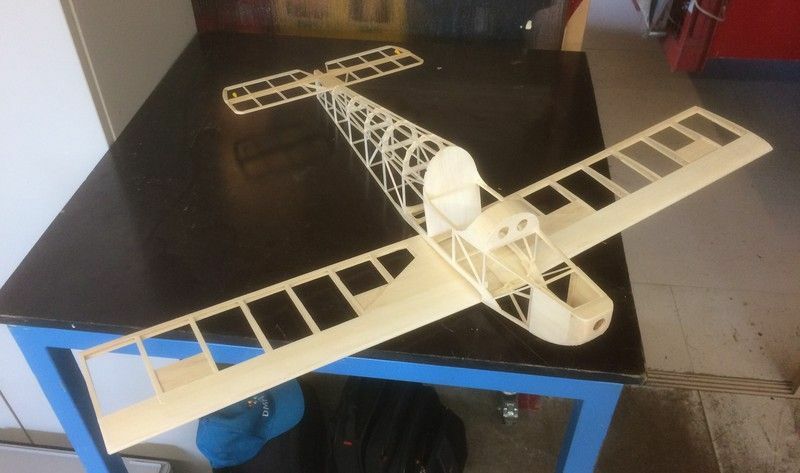 The model should be small, but big enough to get a good working wing (and airfoil). 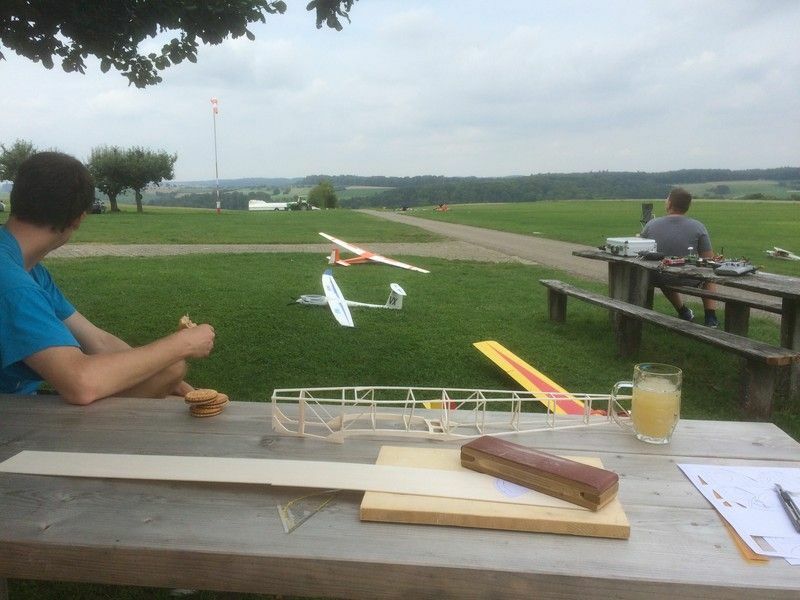 The airfoil AG03 is very thin with only 6% thickness, with a flat bottom perfect for building with wood, and the speed range for small models is good since it is used for SAL gliders. This airfoil with low drag should be fine for outdoor flying on low power, to decrease speed indoor I will make use of flaps (although not like the original). 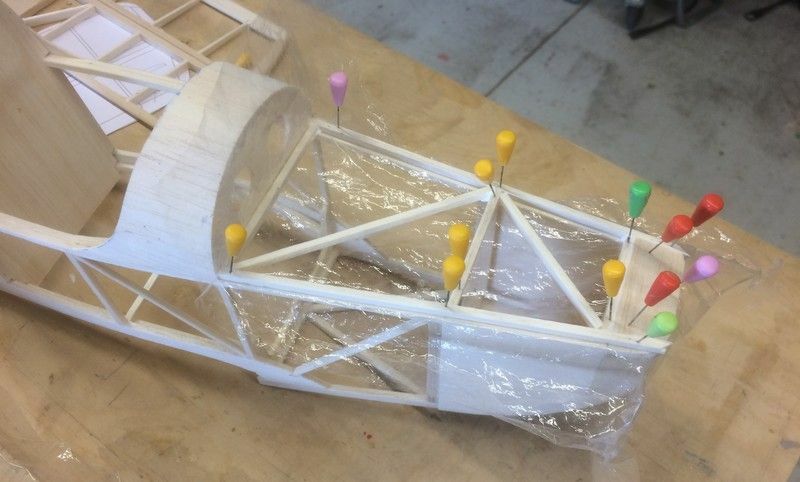 The construction is a wooden one, mainly balsa and a bit plywood. 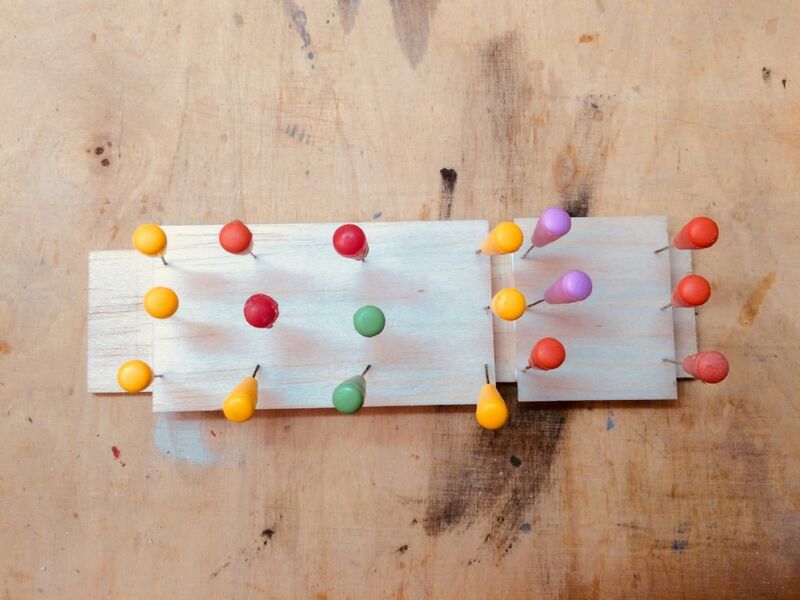 I like to work with the material, the look of wooden models and it has some real qualities, like the possibility of exact planning where you need how much strength. Progress on drawings was slow in the first half of the year. 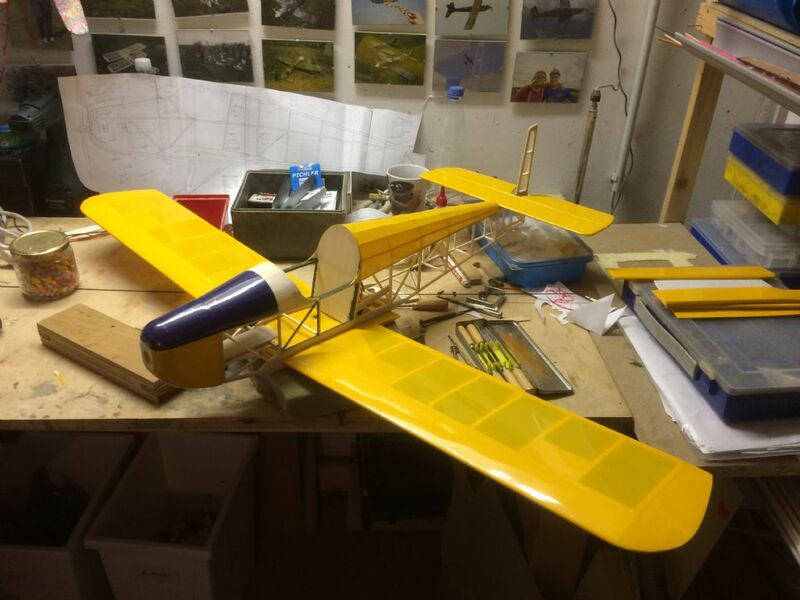 At this time I was very anxious following the build report of the Hornet Moth indoor biplane here on this forum. Building the main parts went quick in August with one week of model building and flying on a glider airfield. Now everything slowed down but with rainy weather I think the situation will improve again. Another 'masterpiece' to get born there, Timo. 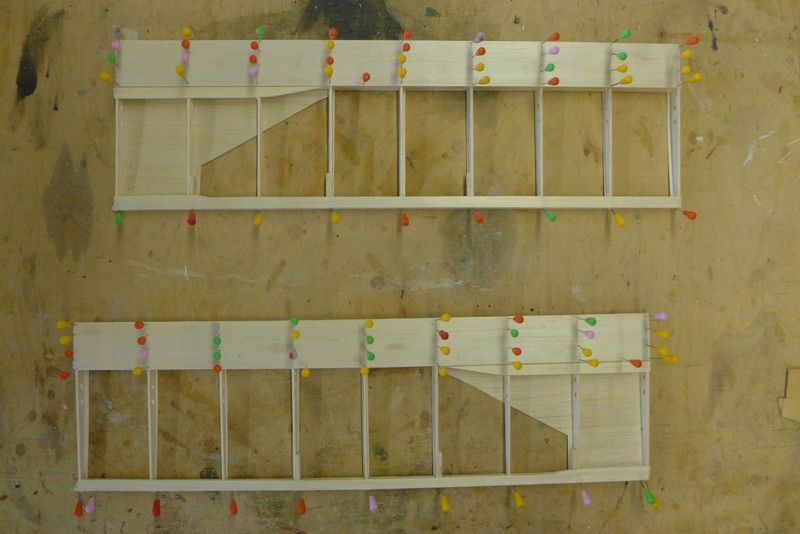 The complete wing is made from balsa, including the wing spar (2mm balsa for the ribs, 1mmwing covering, 2mm wing spar). 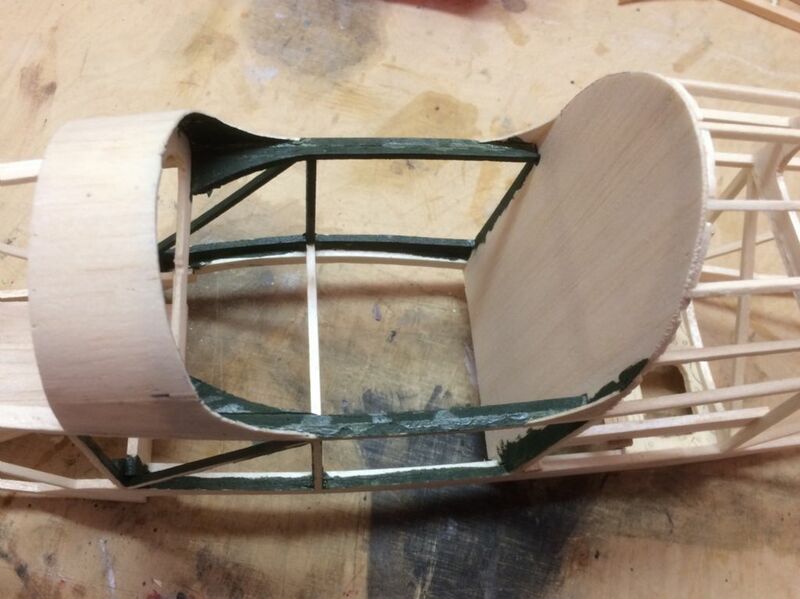 Only thin stripes for the landing gear is made from plywood. 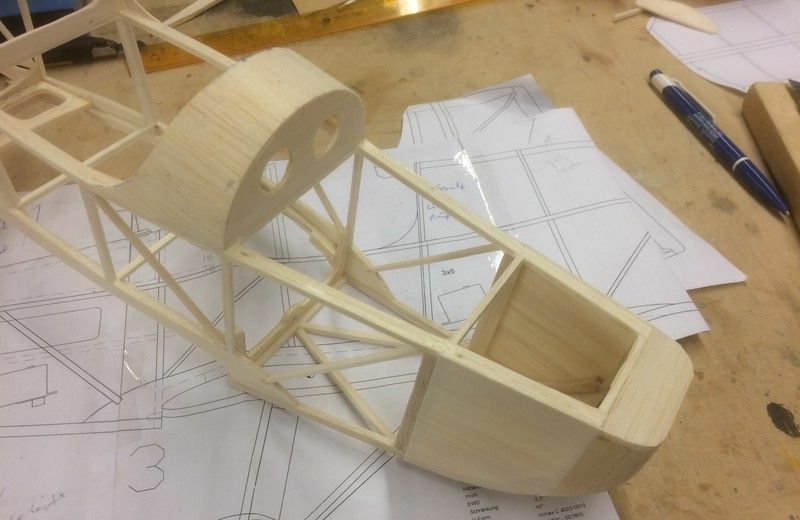 The D-box shall privide sufficient strength for the thin 6% airfoil. 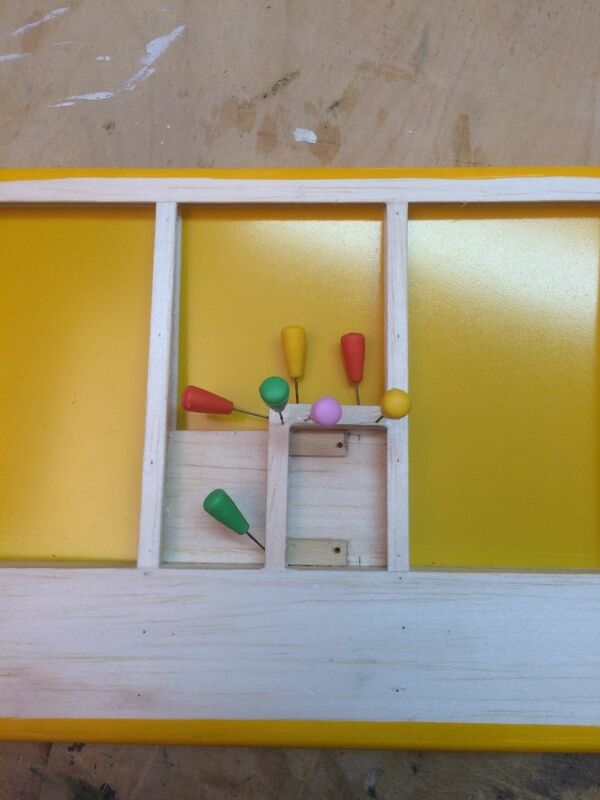 Small reinforcements for the flap hinges. 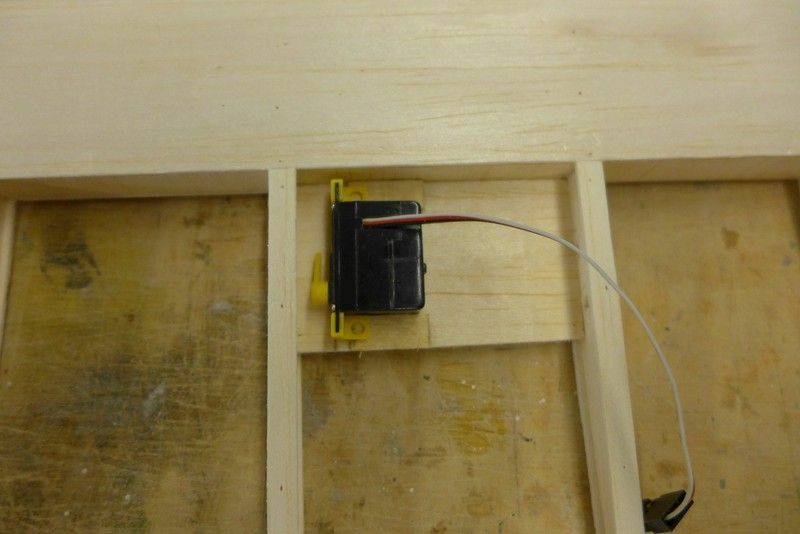 The servos will be installed flat on a balsa plate, reinforced by small plywood pieces. 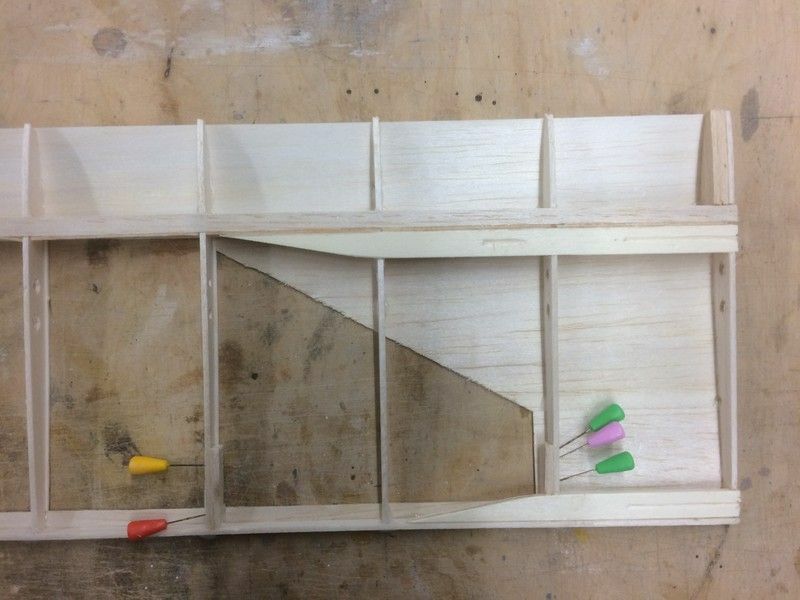 The wing joint is made from plywood. To save weight, the wing tip is hollowed. 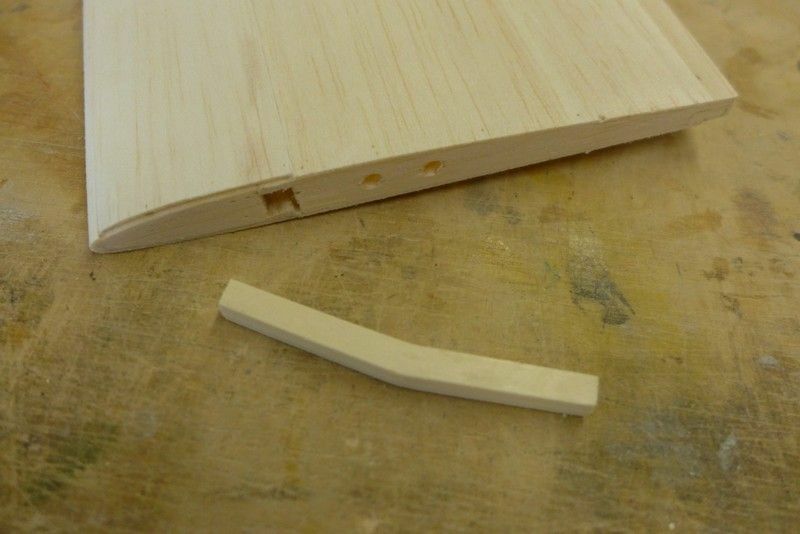 A rudimentary wing tip made from balsa stripes didn't look good. 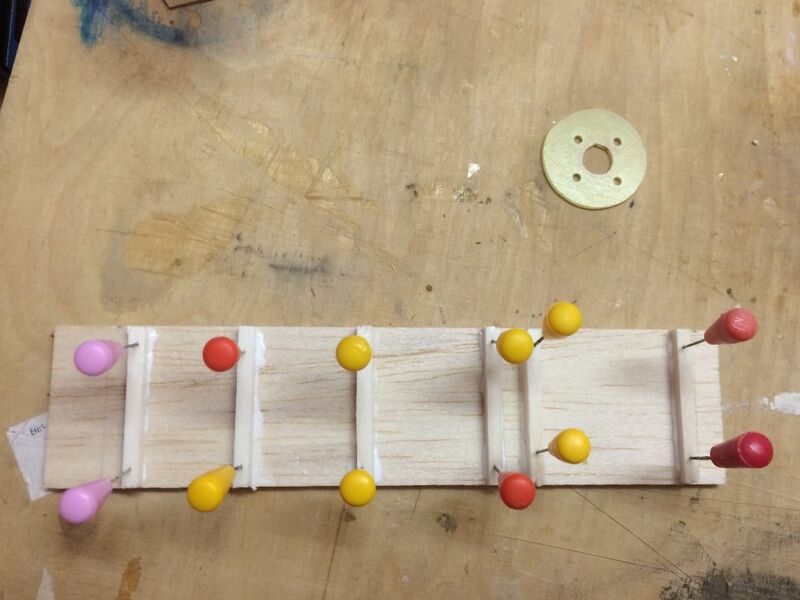 The wing center has to be strong enough for the screw. But there are many things uncertain, like weight and strength. The result will be exciting again. 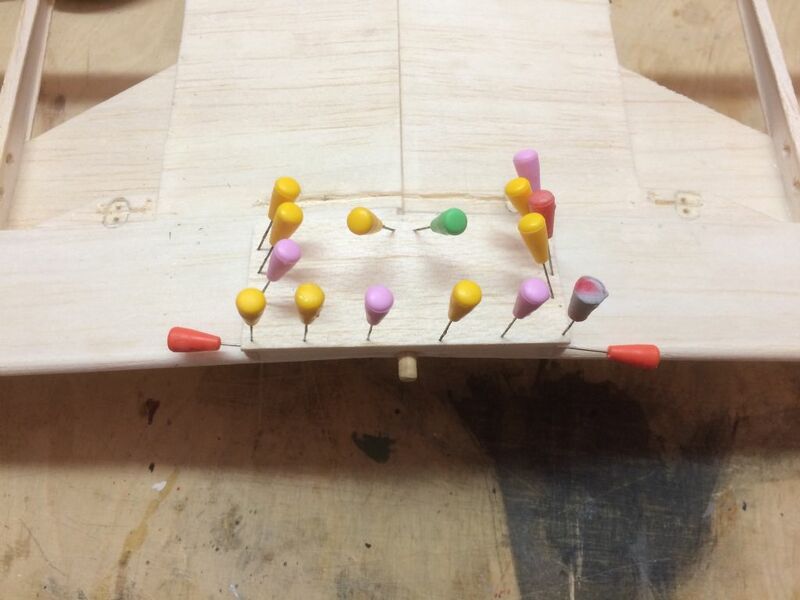 Start building two fuselage sides with mainly 3x3mm balsa and 2x3mm balsa diagonal. 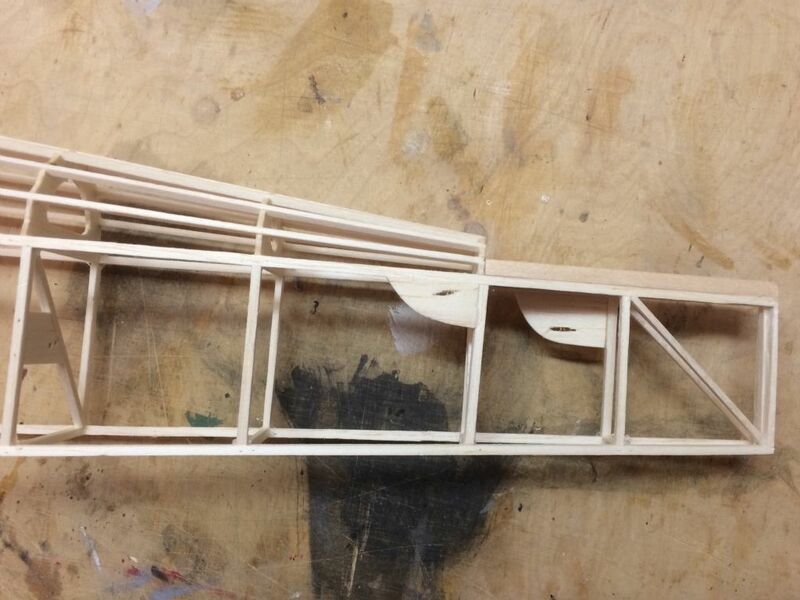 The formers for the fuselage top are made from 2mm balsa. 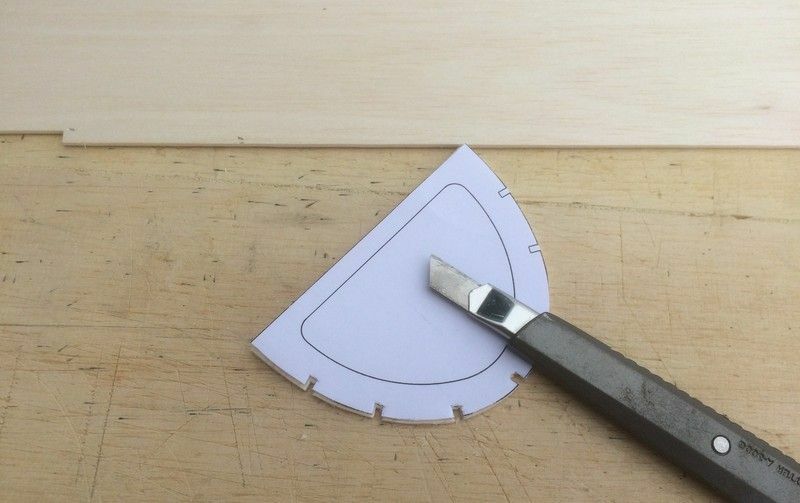 I just place the paper on the balsa and cut along the lines with a sharp knife. If you're careful, the paper doesn't move and you get the parts quiet quick. 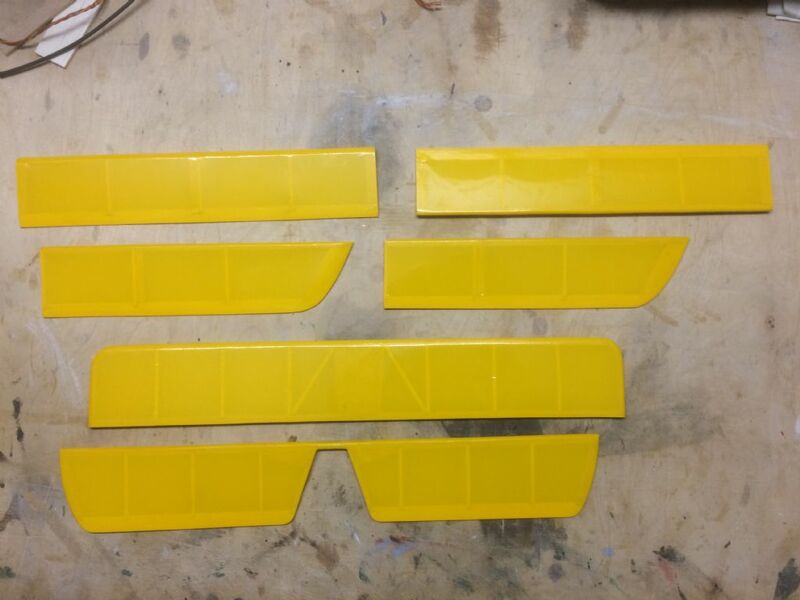 Parts for the front of the cowling. 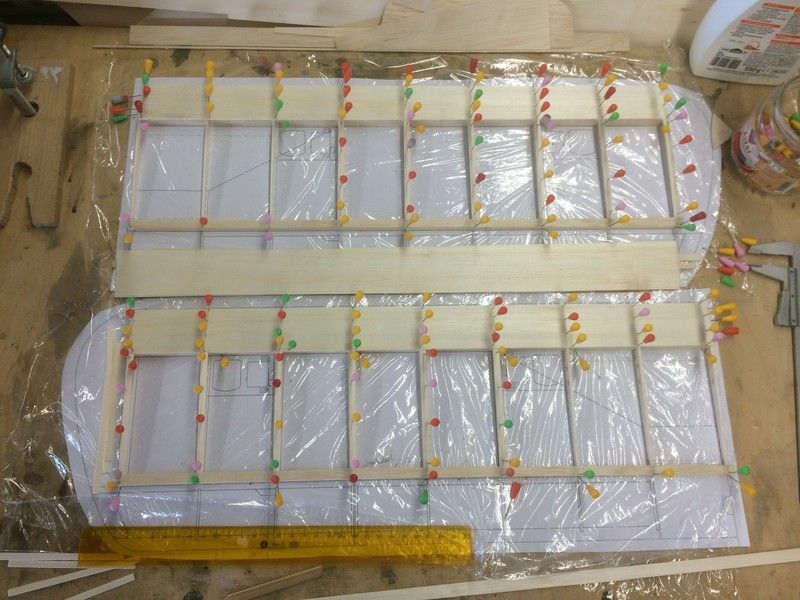 Start building the accumulator and motor hatch on the fuselage, to be sure that both fit together later. 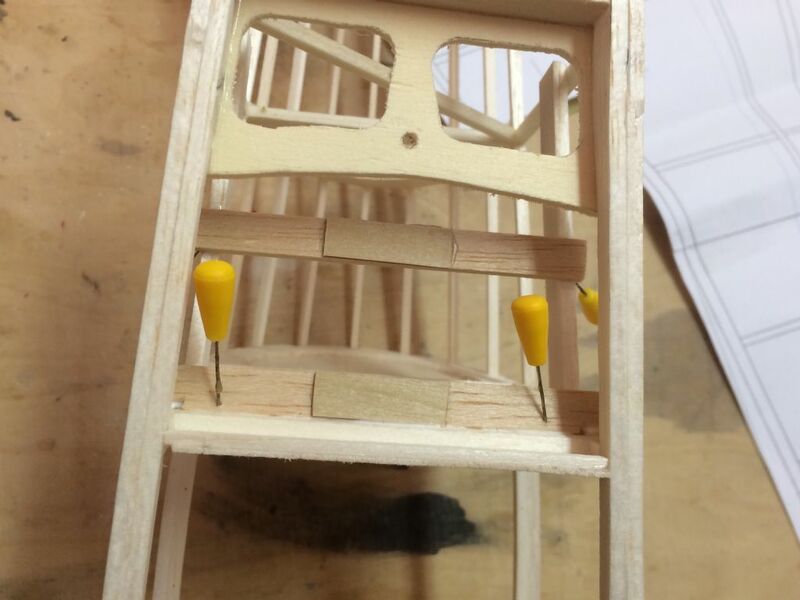 The tail is made from light 5x5 and 2x5mm balsa, with a small CfK reinforcement of the elevator linkage. 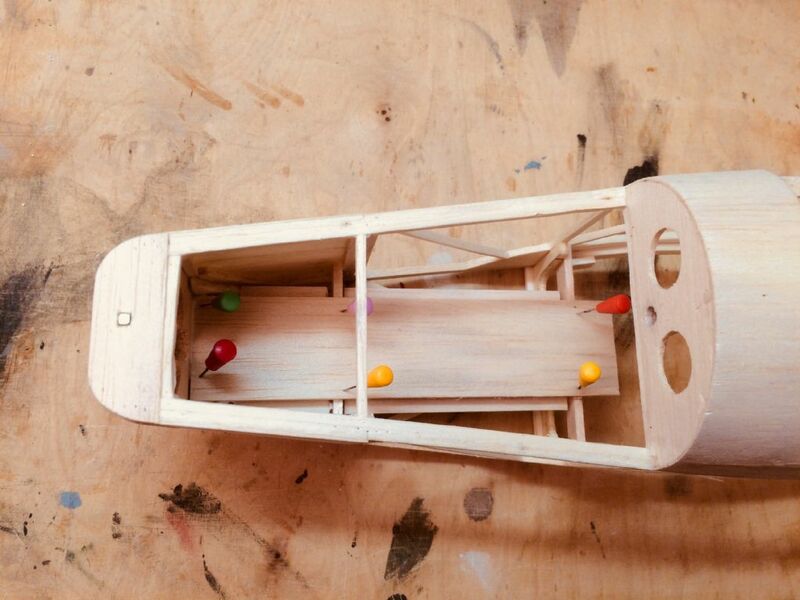 The weight is low, with 6.6grams for the complete horizontal stabiliser. 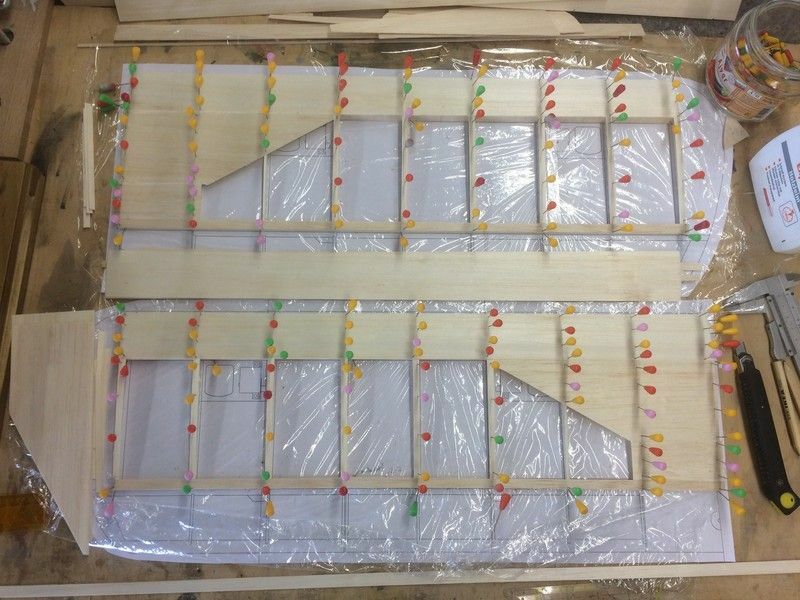 And quiet stiff, after installing the two small diagonal balsa strips. The model already looks fine. 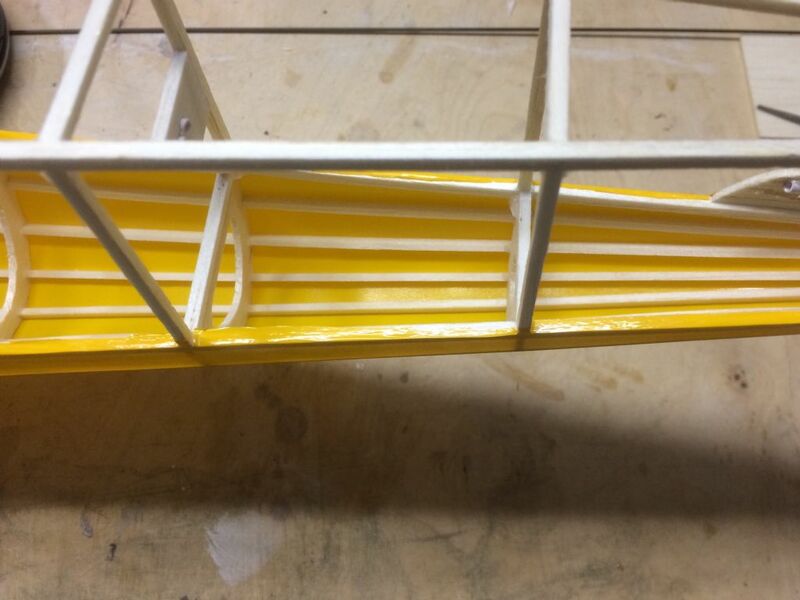 With finished yet not installed ailerons and flaps, the model is a bit further than in the pictures above. Weight is a bit over my plan but with 109 grams still well below the limit. 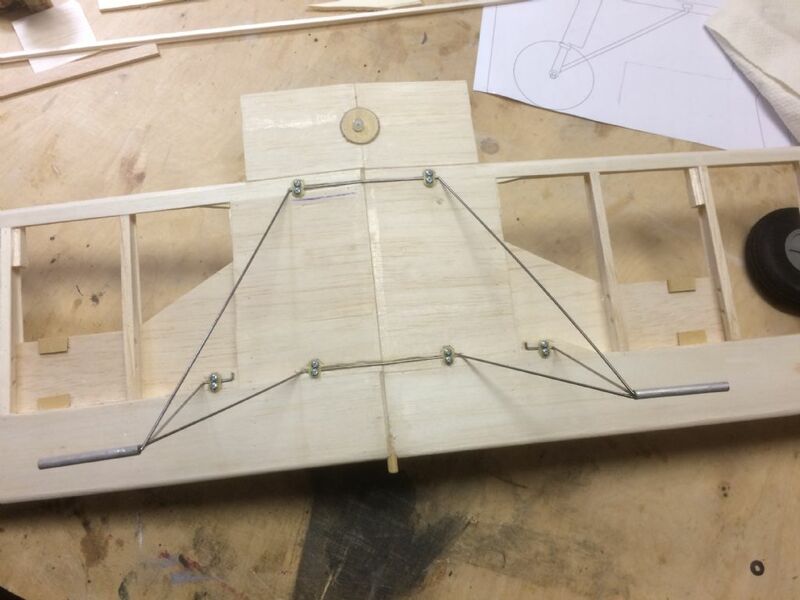 This week I started bending the wires for the landing gear. Next goal is to get a picture of the complete model before covering. Then I have to look for the center of gravity and where to place the rc equipment. The original Turbulent is quiet interesting, with good numbers build in the UK by Rollason. But unfortunately my French consists only of a few words and on wikipedia and other English sources there is not much to be found about the designer, Roger Druine. 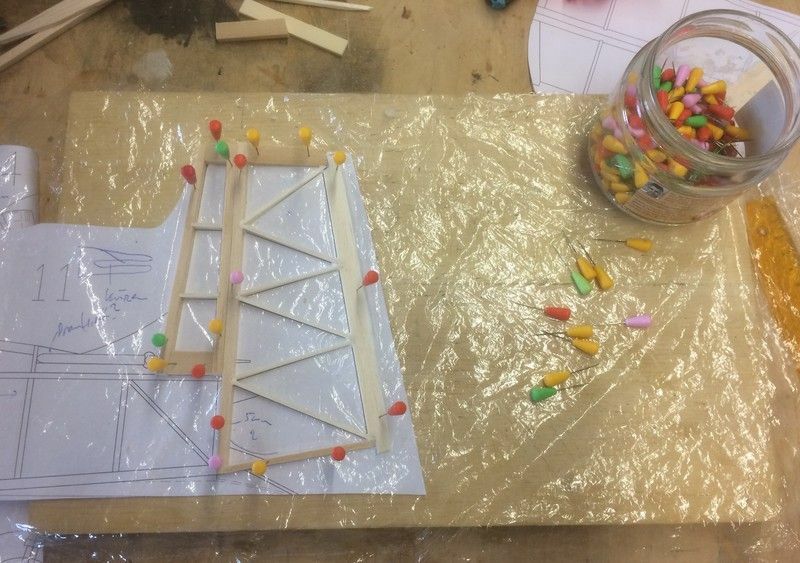 Construction for the first prototypes must be made before or during WWII and later a plan was published for do-it-yourself building Turbulents. 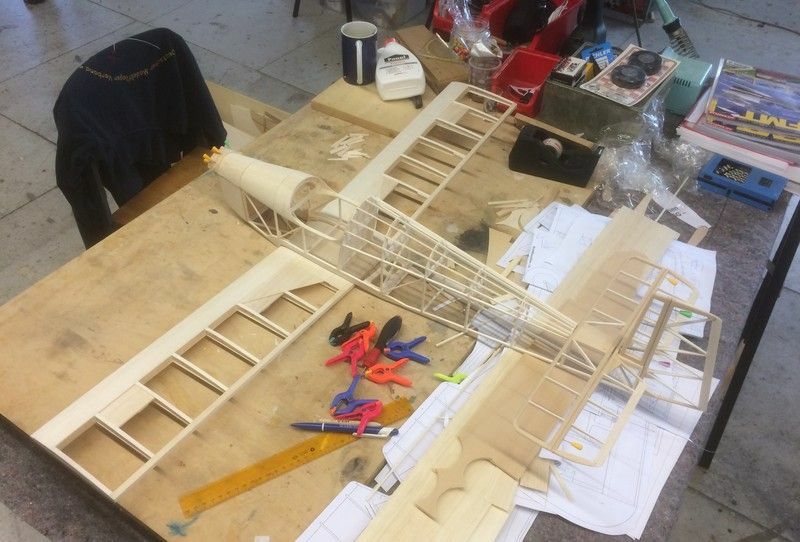 Little progress on the fuselage due to a bank holiday yesterday (German Reunion), and mixed weather. Autumn is coming. I made preparations for servo installation and the accumulator mounting, which has a double floor for an easy insert of velcro tape. Little work today on the landing gear. I wanted to use 1.5mm wire, but found out too late that I took 1.2mm instead. I‘ll try if that’s enough. It would be a bit lighter. 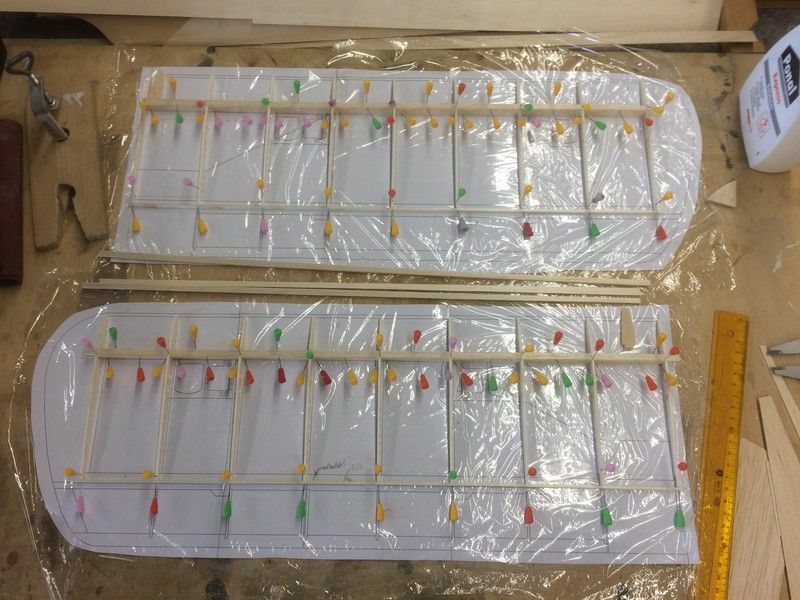 I started covering the control surfaces with Oralight. I thought about lighter alternatives, but I‘m used to work with covering film and straight surfaces are important. Last preparations before covering wing and fuselage. 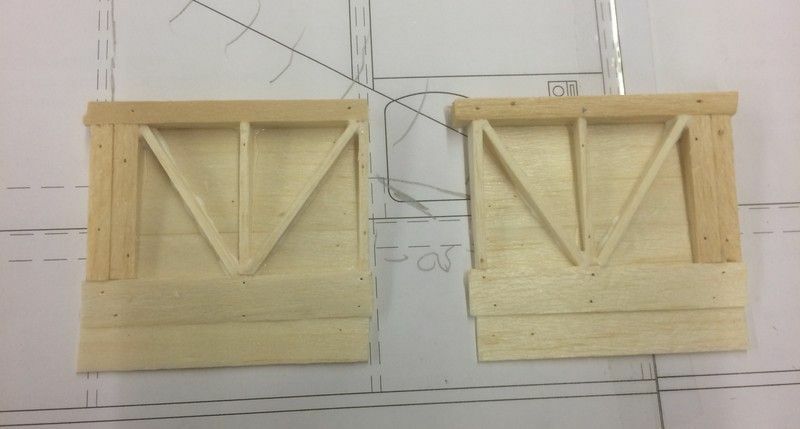 Last minute decision to make a small „case“ for the wing servos. 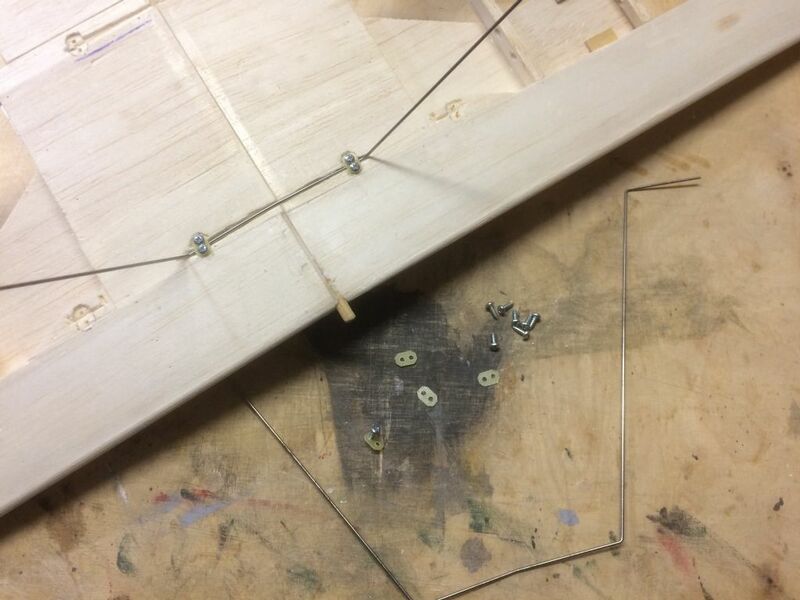 To cover the fuselage sections, I iron the foil around the thin balsa stringers. Hey well done sir - this looks really nice!